My research focus is on the impact of cigarette smoke on the immune system and its implications to smoking-related diseases. I have held several career awards including a Parker B. Francis Scholarship (USA), a CIHR New Investigator Award, and received the Respiratory 2000 International Young Investigator Award in recognition of outstanding achievement in basic research. The goal of my research program is to understand how environmental and infectious agents, alone or in combination, influence innate and adaptive immune responses in the respiratory tract and the contribution of these changes to the pathogenesis of respiratory disorders such as chronic obstructive pulmonary disease (COPD). Specific focus is placed on cigarette smoke’s impact on innate and adaptive respiratory immune defense mechanisms. The goal of our research is to develop novel interventions to restore immune function and mitigate inflammation in COPD. Dr. Stampfli is involved in teaching at both the graduate and undergraduate level within the Faculty of Health Sciences. 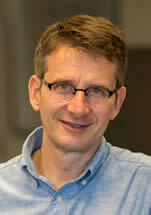 Swirski, Filip, PhD,Center for Systems Biology, Massachusetts General Hospital, Harvard Medical School, Boston, MA, USA. Pouladi, Mahmoud, PhD, Translational Laboratory in Genetic Medicine, Agency for Science, Technology and Research and the Department of Medicine, National University of Singapore, Singapore. Cigarette Smoke Attenuates the Nasal Host Response to Streptococcus pneumoniae and Predisposes to Invasive Pneumococcal Disease in Mice. Shen P, Morissette MC, Vanderstocken G, Gao Y, Hassan M, Roos A, Thayaparan D, Merlano M, Dorrington MG, Nikota JK, Bauer CM, Kwiecien JM, Labiris R, Bowdish DM, Stevenson CS, Stämpfli MR. Infect Immun. 2016 Apr 22;84(5):1536-47. Disruption of pulmonary lipid homeostasis drives cigarette smoke-induced lung inflammation in mice. Morissette MC, Shen P, Thayaparan D, Stämpfli MR. Eur Respir J. 2015 Nov;46(5):1451-60. IL-17A and the Promotion of Neutrophilia in Acute Exacerbation of Chronic Obstructive Pulmonary Disease. Roos AB, Sethi S, Nikota J, Wrona CT, Dorrington MG, Sandén C, Bauer CM, Shen P, Bowdish D, Stevenson CS, Erjefält JS, Stampfli MR. Am J Respir Crit Care Med. 2015 Aug 15;192(4):428-37. Immune Function and Autoimmune Disease.32rd Surgeon General’s Report on Smoking and Health, The Health Consequences of Smoking—50 Years of Progress. Anderson GP and Stampfli MR. 2014: 545-571. How cigarette smoke skews immune responses to promote infection, lung disease and cancer. Stämpfli MR, Anderson GP. Nat Rev Immunol. 2009 May;9(5):377-84.